Welcome to Defib Machines, the UK’s leading supplier of automatic defibrillators for fully inclusive rental. Defibrillator machines are becoming commonplace in businesses and public areas across the UK to help prevent loss of life from one of the world’s biggest killers – Cardiac Arrest. The ability to react quickly in the event of cardiac arrest is essential for saving lives. 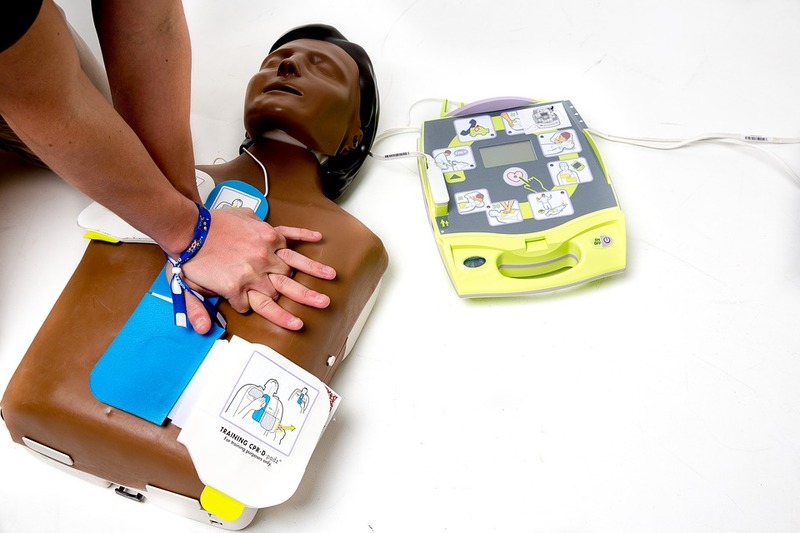 The automatic defibrillators Defib Machines supply provide an immediate, simple and proven solution that can be used by anyone – no training is required. Defib Machines want to make sure all companies have an opportunity to protect their employees, customers, guests and the general public in the event of cardiac arrest. 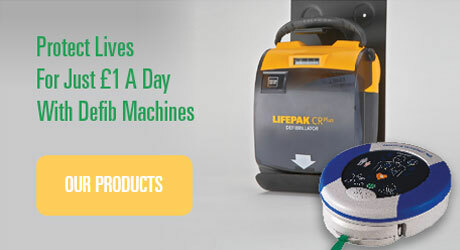 Defib Machines provide an affordable solution to the risk of cardiac arrest and sudden cardiac arrest, with complete defibrillator maintenance packages for just £1 that includes everything you need to save lives. Save money on buying a defibrillator machine outright and benefit from our dedicated account managers, machine installation and all the equipment you need to get your Automated External Defibrillator (AED) up and running straight away. "After learning about the risks of cardiac arrest and sudden cardiac arrest we were keen to protect both our staff and customers. Defib Machines were able to talk us through the different machines on the market and benefits of buying or renting a machine. The process was easy throughout and gives us full piece of mind." " We pride ourself on providing all our workforce with a friendly and safe environment to work in. After learning about Cardiac Arrest we were keen to make sure that we had the appropriate equipment and knew how to use it if needed. The rental package we received from Defib Machines has provided this to all of our sites throughout the UK, with the reassurance that our machines are cared for by professionals. A friendly and easy process throughout." " When looking for a defibrillator we were concerned about the necessary maintenance needed. DefibMachines provided us with a package that removed this worry and also gave us a full demo on its use and provided installation of the DefibMachine." " We regularly hold meetings on our premises and felt a duty of care to look after those visiting. With Defib Machines we now have the capability of saving someone’s life who suffers a cardiac arrest and the full service and maintenance of the machine gives us peace of mind the machine will be in its best condition if and when needed." Watch our video and discover how easy it is to use a defib machine. Put simply, a heart attack is a 'plumbing' problem due to a blockage that limits blood flow around the body. However a cardiac arrest is an ‘electrical’ problem causing the heart to stop beating correctly resulting in the stoppage of blood flow to the brain and vital organs and a sudden loss of consciousness. As a cardiac arrest is an electrical issue the only way to solve it is using electricity (defibrillator). Although different, a heart attack will often lead to a cardiac arrest, in which case a defibrillator is necessary to save the person's life. Sudden Cardiac Arrest (SCA) can affect anybody of any age, without any history of heart problems. It is a condition where the heart suddenly and unexpectedly stops beating normally, stopping blood flow to the brain and other vital organs. If not treated within minutes, SCA usually causes death. The chance of survival from SCA decreases by ten percent for every minute that passes, with brain and vital organ function affected after 5 minutes, so immediate action is vital for saving life. How does an automatic defibrillator help? Defibrillation is the only proven method to treat SCA. An automatic defibrillator, when applied to the chest, analyses the heart’s rhythm to determine whether an electric shock is required to restore the heart’s normal beat. If it is required, an audible instruction is given and the device delivers the shock. After the shock the defibrillator will analyse how the heart responded and if needed provide an escalating shock of up to the recommended amount of 360J. How easy is the automatic defibrillator to use? Shockingly – the Defib Machine we provide has been designed for anyone to use. This could be a passerby, friend or employee – no medical training is expected or required. When opened, the automatic defibrillator provides clear vocal instructions telling the user what to do, and when. There is no risk of accidental shock from the automatic defibrillator as one will only be administered when the heart is in a shockable state. Who will manage the defibrillator after purchase? 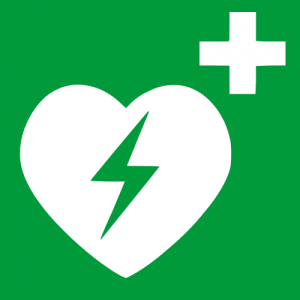 All AED (Automatic External Defibrillators) that are rented through Defib Machines are fully managed without any additional costs, ensuring your life saving equipment is always sufficiently maintained. 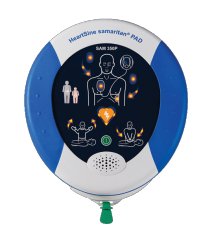 Not only do Defib Machines provide training and installation, but pads and battery replacements are also included as part of the Heartsine and LifePak rental packages. Many companies offer machines without providing adequate service or maintenance package. For as little as £1 a day, Defib Machines provide complete AED management. Regardless of who supplied it, our experts run free AED health checks. 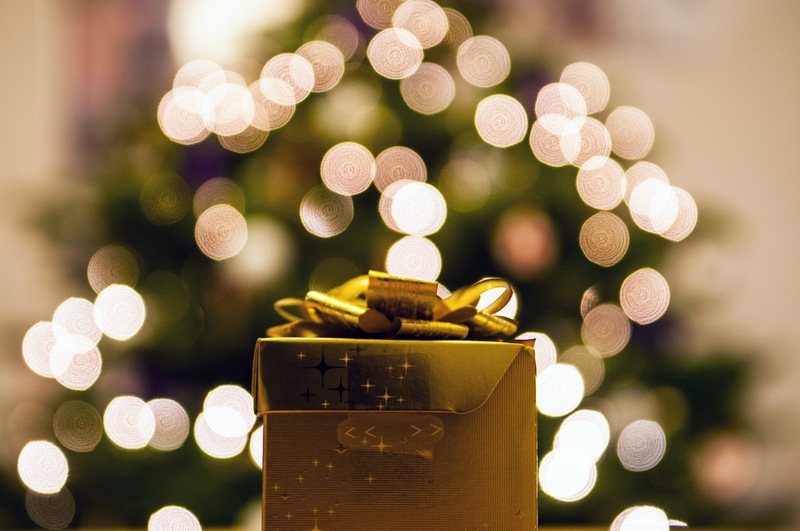 Merry Christmas from Defib Machines!